Ideal fly trap for anywhere flies are a pest. 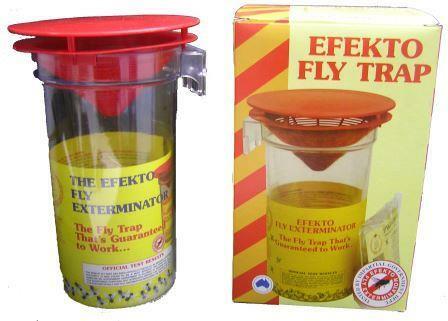 The trap is effective in catching cluster flies, house flies, bush flies and blow flies.The large 2.75 L, durable hard plastic container is designed to let flies enter but not leave. Comes with 4 pungent non-toxic bait sachets which each last 4-6 months.